The Eternal War rages on. Chester McSlappy curiously levitates out the door of his office, the beam of light which so ominously appeared in his office dissipating after its message of encouragement. The ever mysterious board was pleased, though not overly so. The North Irishman levitates out to the parking lot of the Shrimper's home stadium, the Loading Dock, slipping on a fitted paper hat and dragging a grill from the back of his weathered van. He sets the charcoal ablaze and hefts a chipped, two-sided sandwhich board into view. Being the manager of the World's Greatest Football Team wasn't easy. Sure, when Barry channeled his latent powers as the Avatar of Soccer, and Jack Payne blitzed around the field on a gummy-worm infused sugar high, Southend United could challenge Olympus itself. And yet, so much held them back. The Blue's bank account ran dry minutes into the transfer window, and they operated on a skeleton crew. This is what lead Chester McSlappy, manager of the top team in League One, to shovel grilled shrimp into tortillas for nearly a song. It's not like the board wanted to chip in, though Chester wondered if they had any actual concept of money on their homeworld. He tossed a pair of piping hot shrimpitos at the next customer, who paid and murmured thanks. Chester needed new players. Peddling his specialty was no way for a Manager to spend every evening. And if the board would give him no money, he'd just have to earn it the old fashioned way. He'd ensure the Shrimpers stomped each of League One's smarmy teams into the Loading Dock's weathered soil. Hey folks! Welcome back to the next episode of Shrimpers Forever! With no stream last Thursday, we've got three games to catch all the way up on. Enoch and I are having entirely too much fun guiding Chester McSlappy and the Shrimpers to the Premier League and (potentially) Beyond. Come join the fun every Tuesday and Thursday at 8:00 pm EST, 7:00 Central. 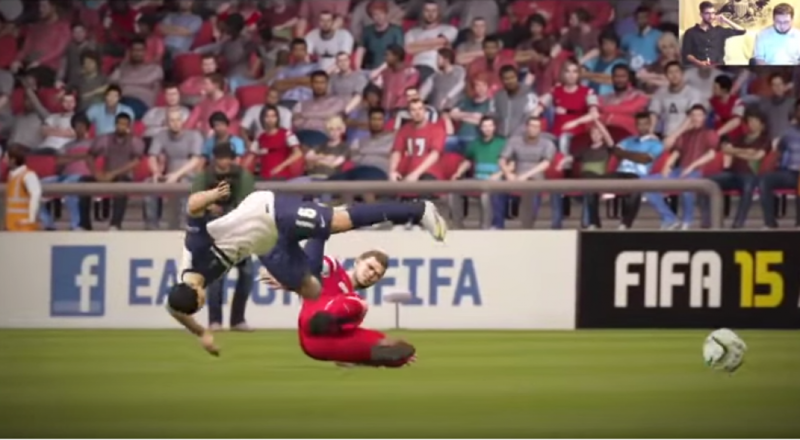 No, we are not switching to FIFA 16 when it is released. Unless EA wants to ship us a save file with our exact team and whatnot, we're sticking with FIFA 15 until we finish out this feature. Which, well. 16 's career mode looks pretty sweet! They've addressed a lot of the beef we've had (wage budget) so far with Shrimpers Forever. But yes, we will continue to soldier on until McSlappy's name is engraved on the moon. Episode 18 saw Jeremy Brockie get his at long, long last. Well, not really getting it. More like "he did his best, so that's cool." Also we learn what happens when you're working with a skeleton crew of multinational guys, only to learn that some of them have jury duty or something in their home country that prevents them from playing. Let me tell you: it's pretty much the end of the world. Last season we saw Southend United rise from the purgatory of League 2 to the relative obscurity of League 1. They were joined by their friendly rivals, Plymouth Argyle. The Shrimpers are topping the charts of their new League, while Plymouth? Well... Plymouth has seen better days. Also: Notts County is probably full of escapists from the Notts County Prison for Thugs and Miscreants, because they measure success in shattered kneecaps. Hey, remember when all of our guys went to go to world cup qualifying games? Looks like most of them are headed back! Good news, though! Since Egypt got knocked out of the qualifiers, Hassan and Salah get to stick around. We've got an entire squad on our hands for the big game against Shrewsbury. Let's hope nobody gets inju-- wait, did you just hear an ankle being sprained? Page created in 0.5004 seconds.